Alex Kornblum is a freelance health writer. 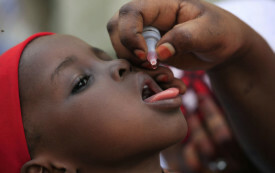 Can a Costly Campaign to Eradicate Polio From Nigeria Possibly Succeed? Bill Gates and a corps of Western donors are on a mission to rid Nigeria of the crippling virus, but the last cases have been hard to stamp out.